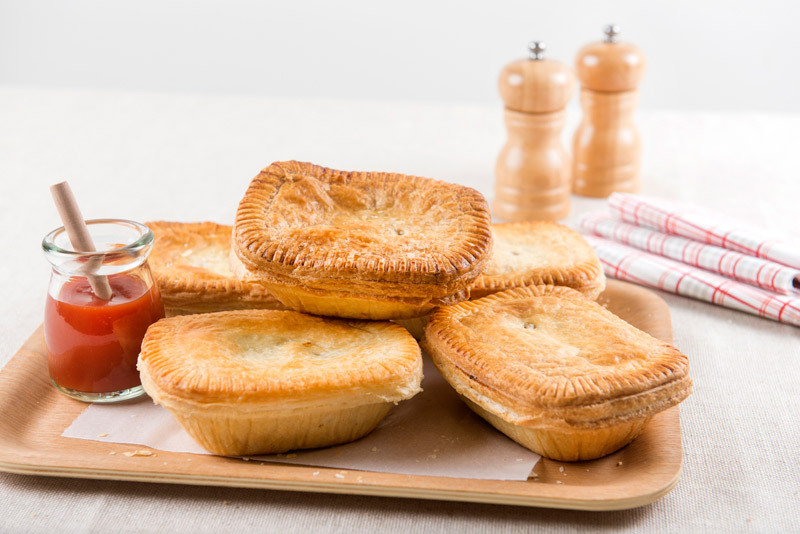 According to Brisbane food historian Dr Janet Clarkson, who has spent years researching our culinary icon, the pie was invented as a way to preserve meat in medieval Europe. Amazingly, the pastry, today an essential part of a good pie, was not meant to be eaten, The Courier-Mail reports. 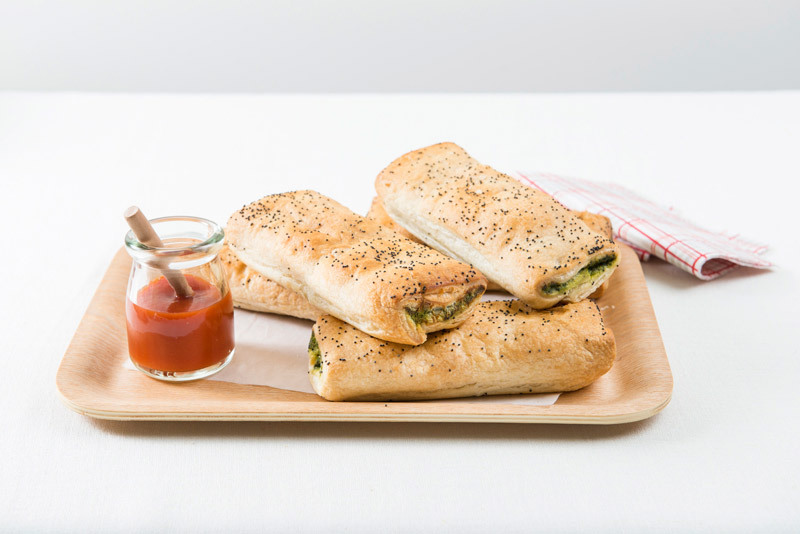 "There were no metal baking dishes or ways to keep food fresh, so the pastry was used both as cooking container and preserver," Dr Clarkson said. "Called a 'coffin', it was made with very hard rye flour up to seven inches thick and wrapped around the meat and baked. This could preserve meat for up to a year." Author of the just released Pie: A Global History, Dr Clarkson said the rock-hard pastry was given to the poor or crumbled up in the kitchens of the rich and used to thicken soups. While the pie may today be an egalitarian symbol of our classless society, beloved by tradies and share traders alike, it was originally food for the rich, according to Dr Clarkson. "Only the wealthy had ovens. It wasn't until Victorian times that the pie became street food and popular fare among all classes." So how did Australia come to adopt the pie as its culinary symbol? It was simply the case that all the ingredients were at hand. "Pies could only be made in countries that had wheat and dairy or pork. With the focus firmly on meat and a low priority for vegetables, as well as being able to make them out of just about any meat it was the perfect settler food." Historians believe that the Greeks actually originated pie pastry. The pies during this period were made by a flour-water paste wrapped around meat; this served to cook the meat and seal in the juices. These pies held assorted meats and sauce components and were baked more like a modern casserole with no pan (the crust itself was the pan, its pastry tough and inedible). The purpose of a pastry shell was mainly to serve as a storage container and serving vessel, and these are often too hard to actually eat. A small pie was known as a tartlet and a tart was a large, shallow open pie (this is still the definition in England). Since pastry was a staple ingredient in medieval menus, pastry making was taken for granted by the majority of early cookbooks, and recipes are not usually included. It wasn’t until the 16th century that cookbooks with pastry ingredients began appearing. Historian believe this was because cookbooks started appearing for the general household and not just for professional cooks. Historians have recorded that the roots of pie can loosely be traced back to the ancient Egyptians. The bakers to the pharaohs incorporated nuts, honey, and fruits in bread dough, a primitive form of pastry. Drawings of this can be found etched on the tomb walls of Ramses II, located in the Valley of the Kings. King Ramses II was the third pharoh in the nineteenth dynasty. He ruled from 1304 to 1237 B.C. After years of the tombe being looted and weathered, great amounts of effort are in progress with the hope of returning the tomb to a somewhat presentable stage. The Roman statesman, Marcus Porcius Cato (234-149 B.C. ), also know as Cato the Elder, wrote a treatise on agriculture called De Agricultura. He loved delicacies and recorded a recipe for his era’s most popular pie/cake called Placenta. They were also called libum by the Romans, and were primarily used as an offering to their gods. Placenta was more like a cheesecake, baked on a pastry base, or sometimes inside a pastry case. 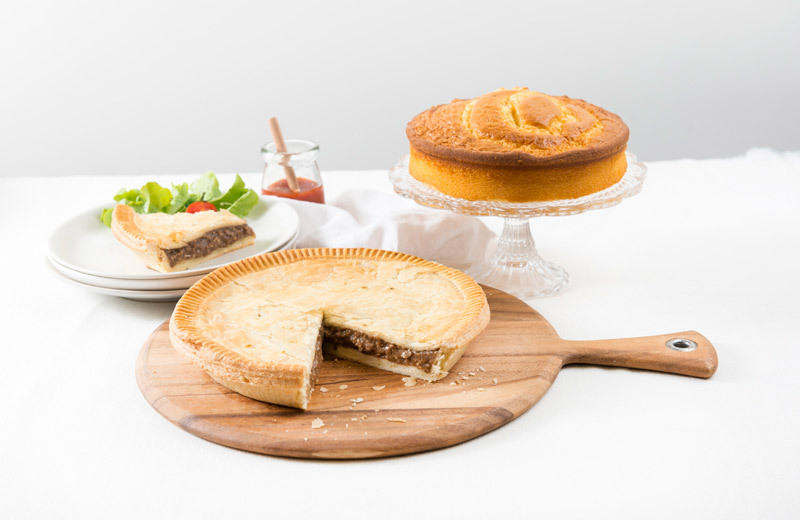 Ferguson Plarre Bakehouses have an award-winning range of meat pies including beef, Country Chicken,Beef Curry, Cracked Pepper Steak, Steak & Mushroom, Steak & Onion, Beef & Cheese and Cottage Pie. Our recipes aren’t as old as the ones mentioned here but we’ve been refining our recipes for over 115 years and we think you’ll taste the difference!